At some point it time it is likely you have been or will be faced with the decision of how to care for your elderly loved ones. A Nursing Home can be a wonderful option, but you want to feel certain that you are making the right decision and that your loved one will be safe. Nursing Home Abuse or Neglect can make a decision like this very overwhelming. In Greenville South Carolina it is mandatory that Nursing Home personnel report any Nursing Home Abuse or Neglect they might suspect. Unfortunately, the sad truth is there are many cases that go unreported. If you suspect that a loved one is being subjected to Nursing Home Abuse or Neglect please do not hesitate to reach out to an experienced South Carolina Nursing Home Abuse or Neglect Lawyer. One reason some cases of Nursing Home Abuse or Neglect go unreported is that it can be difficult to detect certain types. Nursing Home Abuse or Neglect can take place in many different ways and result in many different injuries. 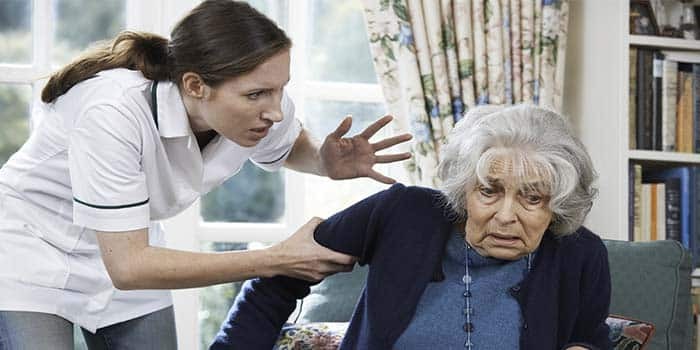 Nursing Home Abuse or Neglect includes physical abuse, emotional abuse, and sexual abuse. It is important to be vigilant and act quickly if Nursing Home Abuse or Neglect is suspected in the slightest. Sadly, the victims who experience Nursing Home Abuse or Neglect are often unable to report the abuse to the Nursing Home Staff or to their loved ones. They can be in very vulnerable positions. They should not have to suffer through this alone. The last thing anyone wants for their loved one is for them to suffer long lasting effects or even die as a result of the Nursing Home Abuse or Neglect. Reporting any suspected Nursing Home Abuse and Neglect is the only way to ensure that the offenders are held responsible. An experienced Nursing Home Abuse or Neglect Lawyer can help you navigate the complex waters of a Nursing Home Abuse or Neglect investigation and you can rest easier knowing that the victim’s rights are being represented. The elderly deserve the utmost respect and dignity and they deserve to live comfortably and not in fear. If you or a loved one suspect someone may be experiencing Nursing Home Abuse or Neglect, do not waste any time in getting an experienced South Carolina Nursing Home Abuse or Neglect Lawyer on your side.